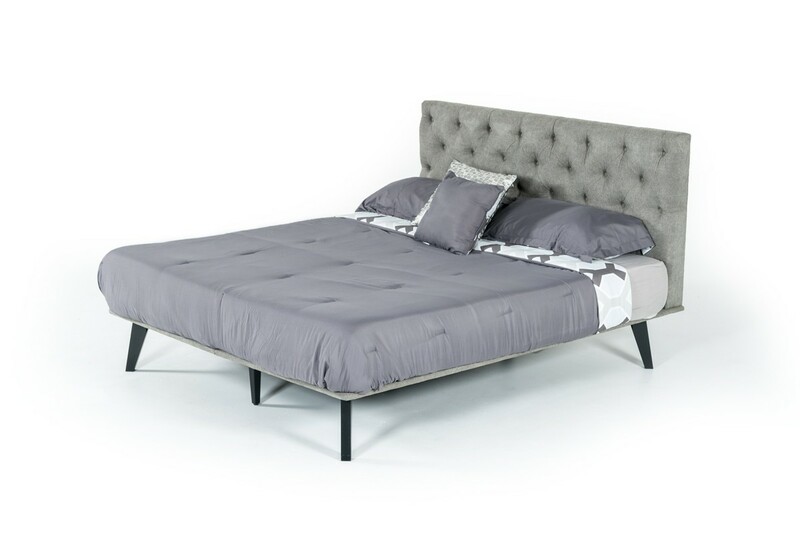 The Modrest Gibson Fabric bed comes in a beautiful shade of grey. The shade of grey is the perfect amount of cool color to combine with the warm walnut veneer Gibson set or a set of your choosing. It is upholstered in fabric; the headboard is tufted with buttons. 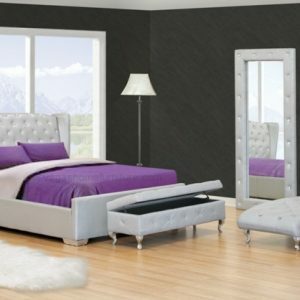 Its sleek black painted wooden legs give it the right amount of lift from the floor. With slats included there is no need of a box spring.